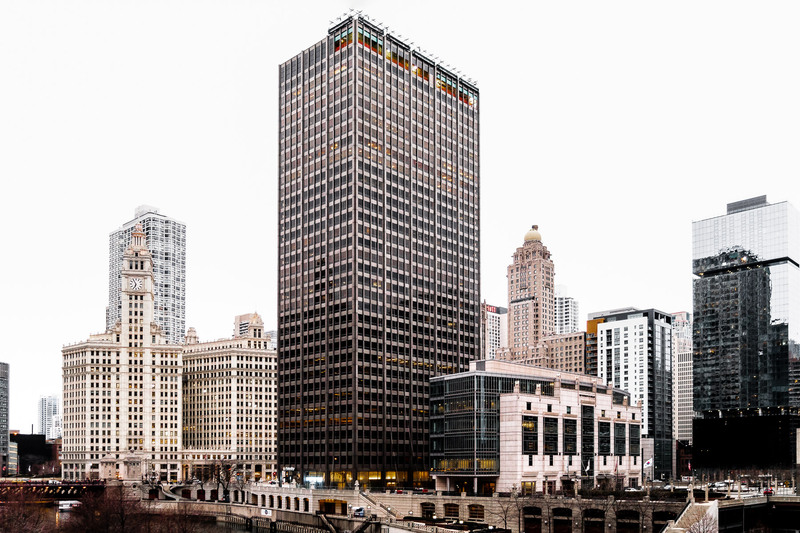 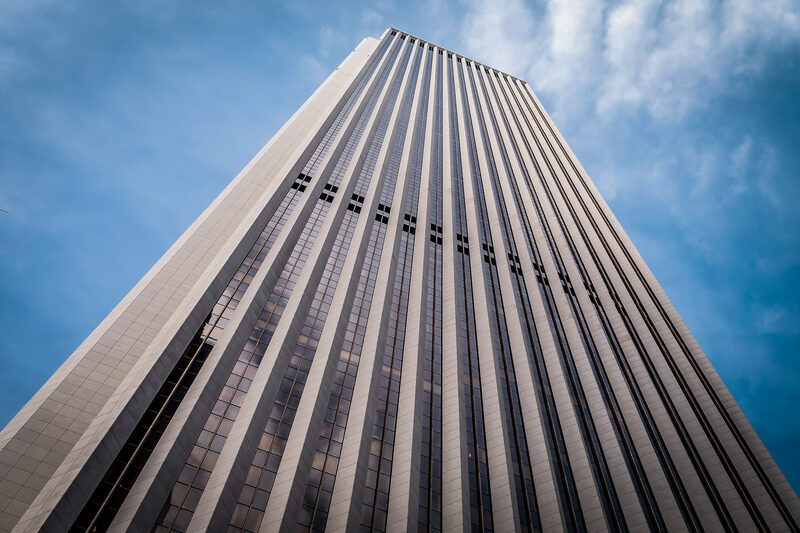 401 North Michigan—formerly known as the Equitable Building—rises along the Chicago River into the overcast Illinois sky. 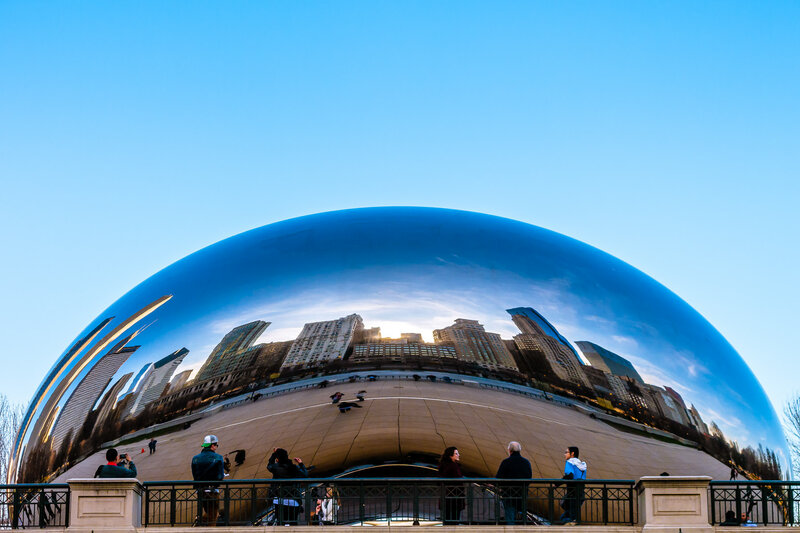 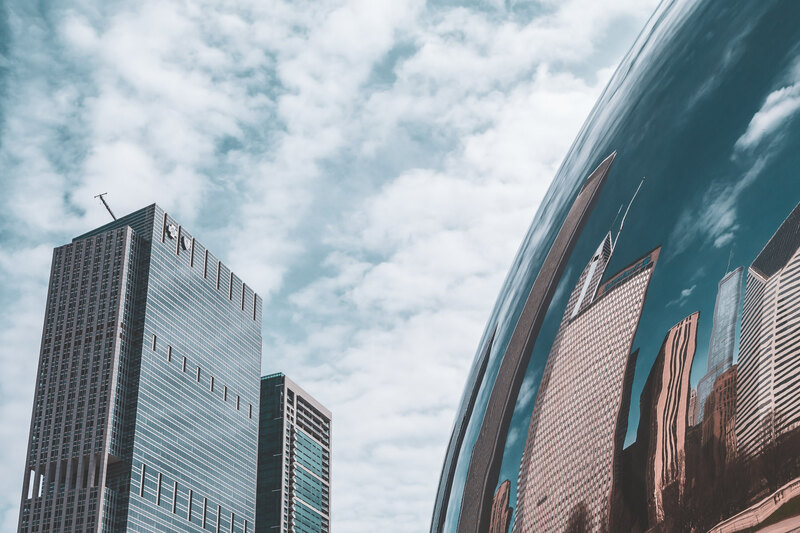 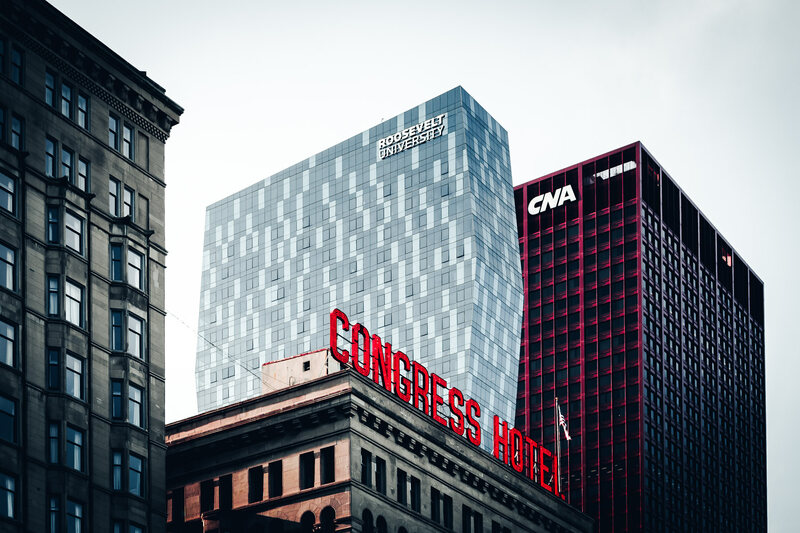 Chicago’s Blue Cross-Blue Shield Tower and 340 on the Park rise above Anish Kapoor’s Cloud Gate, colloquially known as “The Bean”. 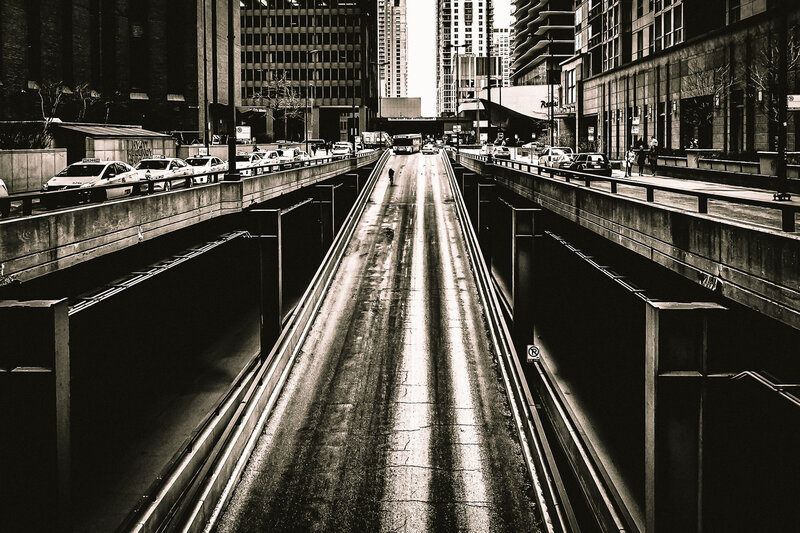 A ramp extends to Lower Water Street in Downtown Chicago. 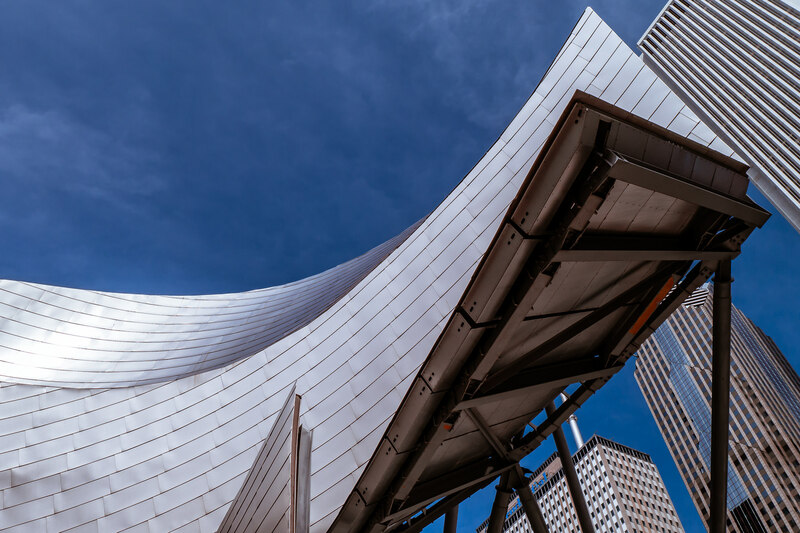 Architectural detail of Chicago’s Millennium Park’s Jay Pritzker Pavillion, an open-air concert venue designed by Frank Gehry and opened in 2004. 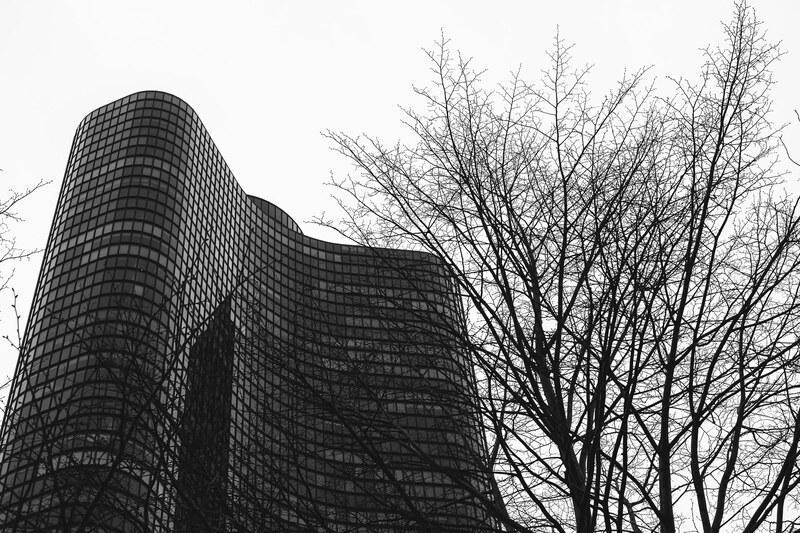 Lake Point Tower rises over barren wintry trees into the Chicago sky. 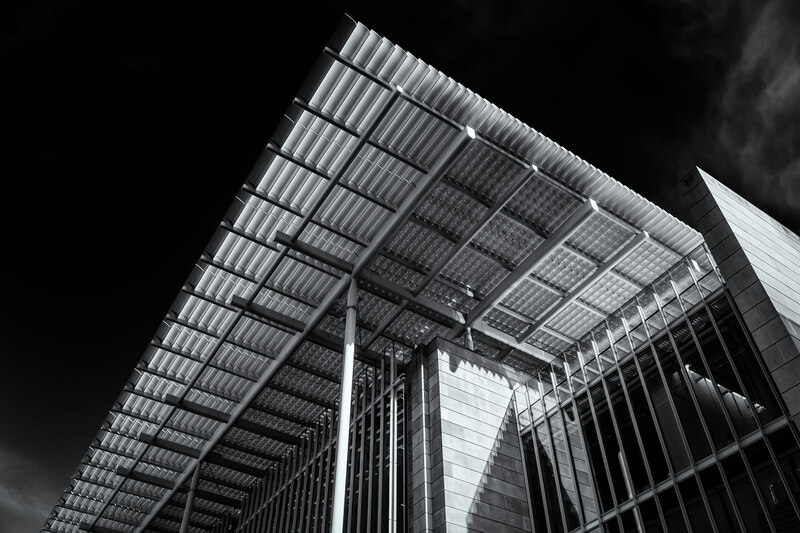 Exterior architectural detail of the Renzo Piano-designed Modern Wing of the Art Institute of Chicago.